It´s online! 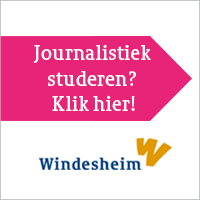 Windesheim´s brand new website covering the J-schools work and progress on constructive journalism is now online. Here you can find definitions, examples, events, partnerships and new results on research. Constructive Journalism is an emerging domain within journalism that is slowly getting grounded within academia and involves the field of communication that is based around reporting positive and solution- focused news, instead of revolving around negative and conflict- based stories.